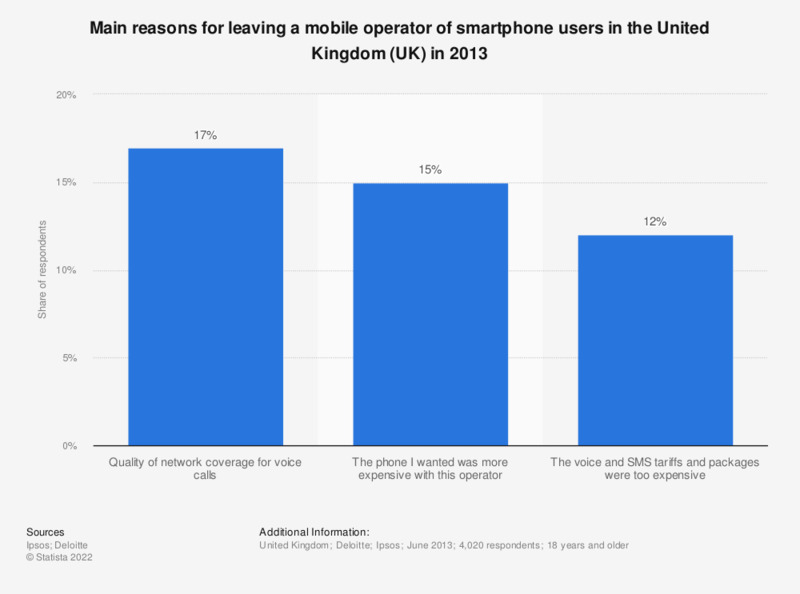 This statistic shows the main reasons for leaving a mobile operator of smartphone users in the United Kingdom (UK) in 2013. In the United Kingdom, 15 percent of respondents said that the phone they wanted was more expensive with this operator. The quality of network coverage for voice calls was the leading reason among smartphone owners to choose to leave their mobile operator. The statistic below does not take into account the year when the respondents changed their previous operator.